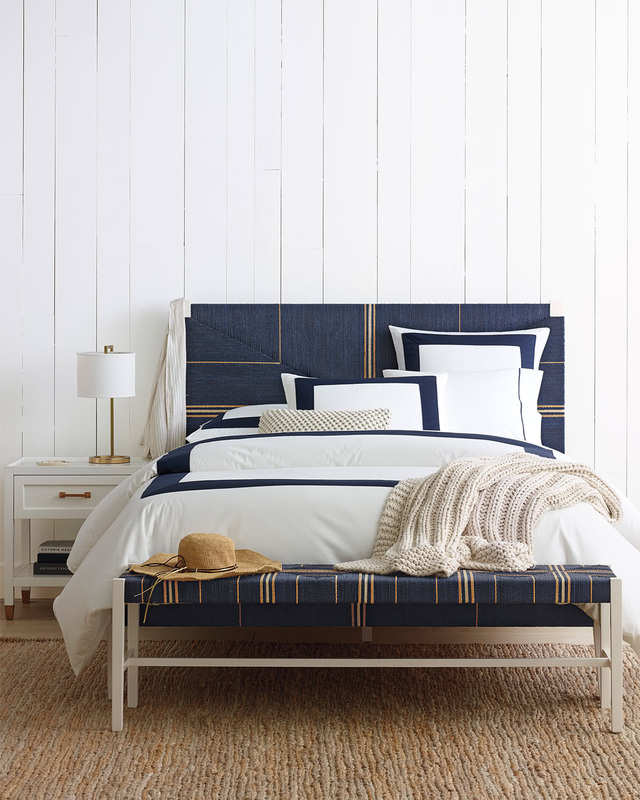 Beach Club Border Bedding SetBeach Club Border Bedding Set, alt="Beach Club Border Bedding Set, "
100% cotton percale woven to a 310 thread count. Easy to care for: Machine wash. Tumble dry and pull straight out of dryer to avoid wrinkles. 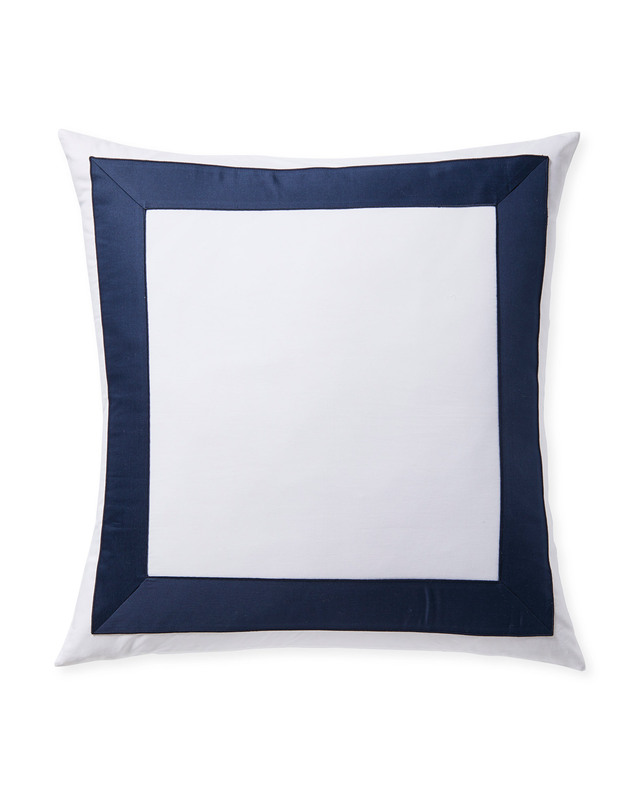 Duvet features inner ties to keep your duvet insert in place. Dimensions: Twin: 68" x 86". Full/Queen: 92" x 88". King/Cal King: 108" x 92". Sham dimensions: Standard: 20" x 26". King: 20" x 36". Euro: 26" SQ. 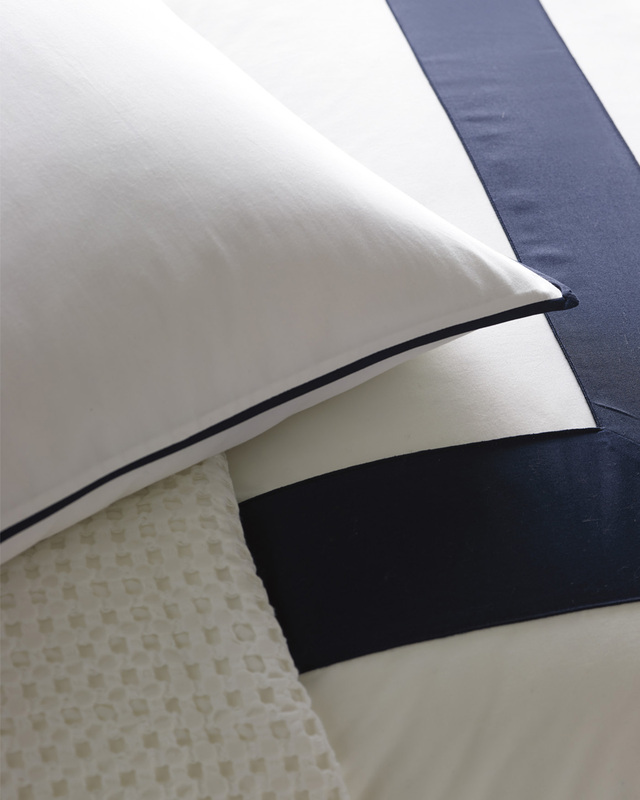 The Twin sheet set includes one flat sheet, one fitted sheet, and one standard-size pillowcase. 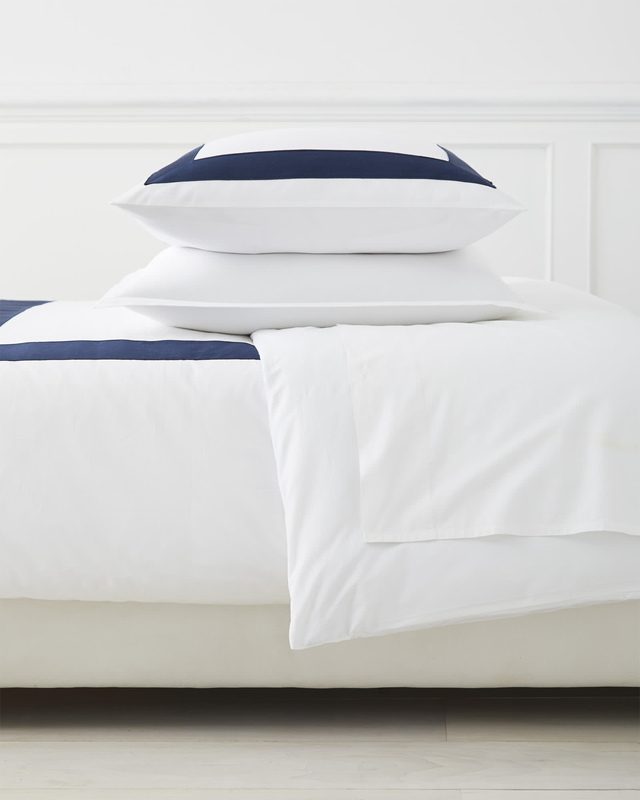 Our sheets fit Twin or Extra-Long Twin mattress up to 14”D.